Separating the men from the boys this industrial pressure washer doesn’t muck around. Putting out an impressive 200 bar with a flow of 21 l/min dirt and debris is blasted away in no time at all, making it ideal for industrial applications where time is money. 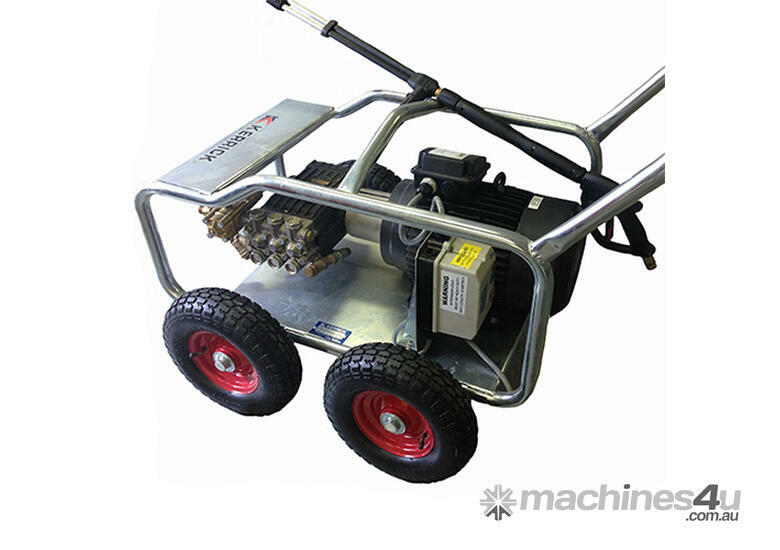 Features include a slow speed pump, heat dispersing coupling and mounting plate for a high pressure hose reel. The heavy duty corrosion resistant frame is wheel mounted and comes with a handle to allow easy movement. The frame also comes with a convenient lifting point which allows the pressure washer to be moved in and out of vehicles using a forklift or material handling lift. You must return items unused and in their original packaging and in the same condition as when you received them. If you don't follow our item condition policy for returns, you may not receive a full refund. Orders may be cancelled in full before payment and shipment. Once goods are shipped, orders will only be refunded once the goods are returned in brand new condition to our warehouse. A restocking fee may apply on certain products. We ship Australia wide via our freight couriers. Delivery and pick up can be arranged within the Melbourne metro area only. Join 190,000+ & get access to special deals now!